Yolanda Adams’ Time to Change is the anthem not only for JAQ’s stunning Migration building, but also for a neighborhood rapidly on the rise. 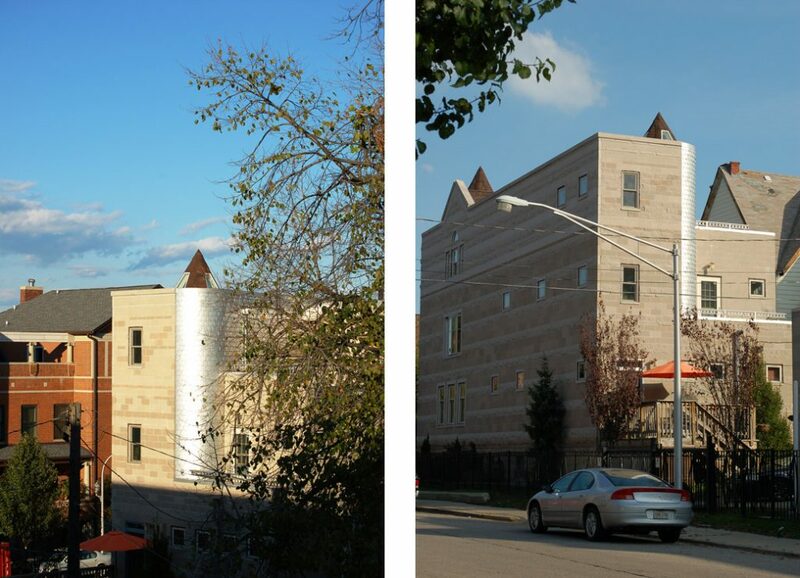 This residence and design studio rises majestically out of a corner that was once one of Bronzeville’s many vacant lots. Its bold, progressive design evokes the confidence of a neighborhood seeking to reclaim its position as a haven for Chicago’s Black professionals, artists, and musicians. Migration’s main turret serves as the project’s Intro. The timbre of “Time to Change” suggests harvest themes, reflected in the colors and textures of Migration. The building exterior features a continuous pattern of both brown and natural simulated limestone that parallels the repetition of the song’s beat and the drive of its rhythm section. Each elevation of the house is a reflection of four themes found within “Time to Change”. 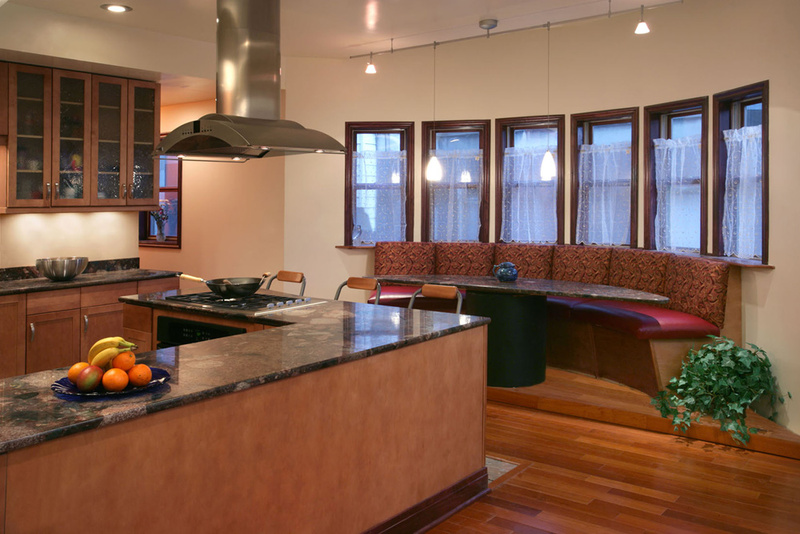 Level One is for entertainment, featuring burnt orange accent colors that complement purple Palladium countertops. Level Two is for relaxation, featuring soothing green accent colors and a cool-toned mural of underwater dinosaurs in one of the bedrooms. 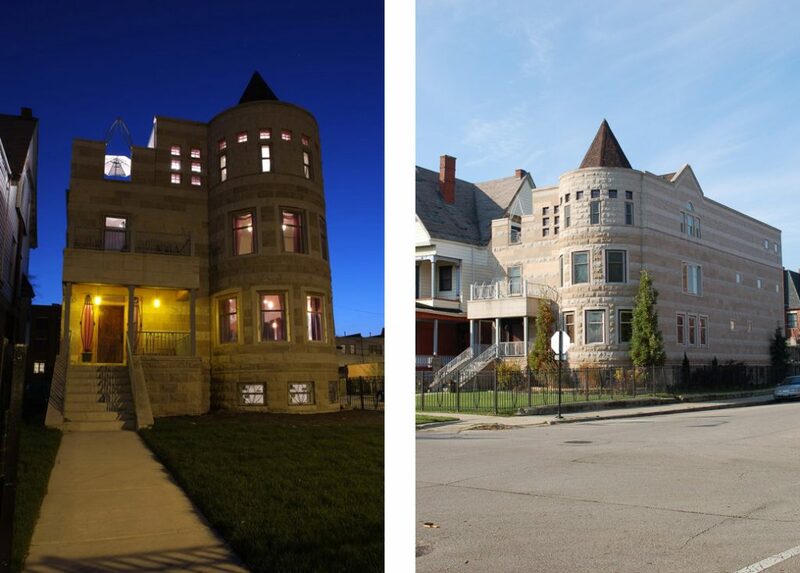 Level Three pays homage to the Bronzeville tradition of featuring ballrooms on the third level of its homes, and is accented by royal violet. The teardrop-shaped grand staircase gracefully guards private space from public, allowing seamless vertical communication between levels. Migration’s elegant composition reflects the layers of life soulfully illustrated by Yolanda Adams’ commanding vocals. 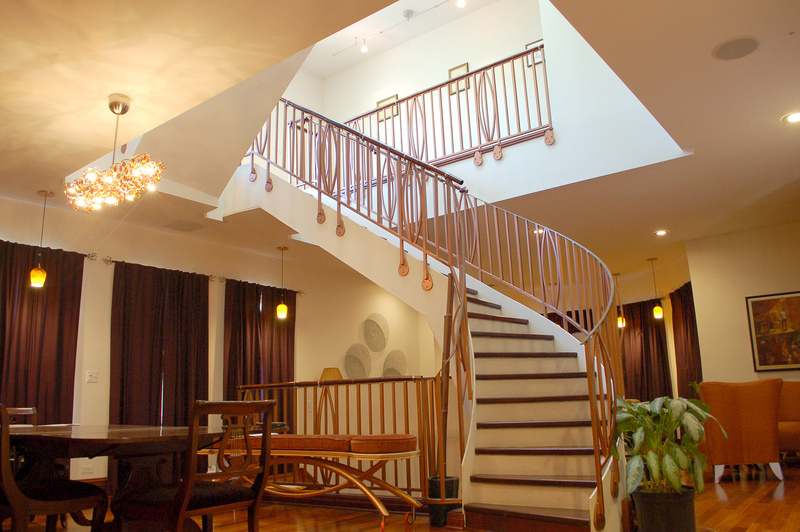 The grand staircase is this project’s intimate Interlude. Migration emerges like a phoenix from a formerly nondescript intersection in a neighborhood regaining its glory. Bronzeville, once home to Margaret Burroughs, Gwendolyn Brooks, Ida B. Wells, and thousands of African Americans fleeing the South during the Great Migration of the earlier 20th century, suffered social and economic decline due to drugs, crime, and overcrowded housing projects. But the 21st century has seen an explosion of entrepreneurship, arts, and architecture, and Migration is a bold reprise of Bronzeville’s history of greatness, signaling that the time to change is now. The minor turret, capped with a skylight, is Migration’s incredible Coda.